When your vehicle needs repairs or service, bring it to the experts at Stephenson Steering. For more than 80 years, we’ve served the people of Oshawa, so you can be confident that we take great pride in our work, and are a trusted family name well regarded throughout the region for excellent work and friendly service. Our technicians are experienced, trained pros, equipped to correct whatever ails your vehicle. Learn more about our services. 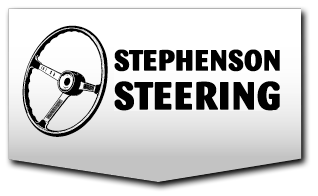 Stephenson Steering was founded by brothers Ernie and Tom Stephenson as an automotive service garage in 1928 and later transformed into a shop focusing on wheel alignment when Ernie’s sons, Ray and Lloyd, took over the business. They moved the shop to its present location on Taunton and Somerville, where the expanded quarter enable us to provide the highest calibre of convenience and service. Today, Ray’s sons, Scott and Mike, work hard to maintain the legacy of excellence established when the shop was opened more than 90 years ago.